The Army Black Knight's defeated Fordham 55-0 in Michie Stadiuim at the United States Military Academy in West Point, NY on Saturday, October 29, 2011 during a Nor'easter. 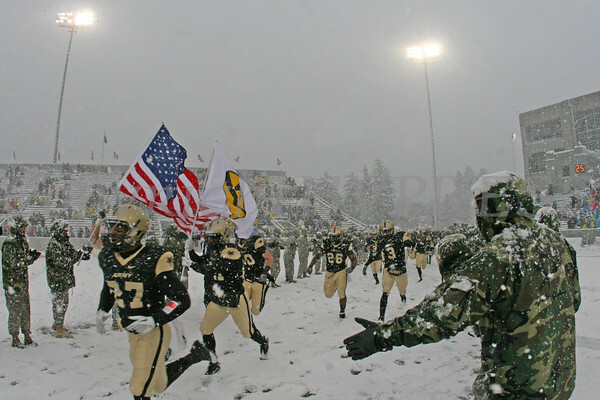 Army football players enter a snow covered Blaik Field in Michie Stadium at the United States Military Academy in West Point, NY on Saturday, October 29, 2011. Army defeated Fordham 55-0. Hudson Valley Press/CHUCK STEWART, JR.